Under the rough conditions of today’s e-Commerce market companies have no other choice than to constantly modernize. The competition laws do not forgive any procrastination, and if you stop progressing, you simply fade away. In order to be considered the best, store owners should not only keep pace with the market rhythm but also be miles ahead of it. Technology updates of PHP core and Zend Framework. Anticipating user demands, Magento puts a great effort into making store management easier, quicker and more effective. After all, nothing irritates more than a slow website and even an experienced e-merchant appreciates simplicity of a backend. Responsive web design. Magento 1.9 offers an opportunity to build an elegant and mobile friendly online store. Keep in mind that responsive design provides you with a list of benefits. Moreover, due to the latest Google algorithm updates, mobile-optimized sites will get higher rankings in search results. Overall, this feature provides more convenient experience for your customers that potentially generates sales. Checkout improvements. Payment process in Magento 1.9 was completely renewed. Now, if client’s card was declined during checkout, the shopping cart will automatically search for other payment methods. “Bill Me Later” option is also available to help customers to postpone the payment using PayPal. These and other novelties encourage store owners to upgrade to Magento 1.9 and get all these features at once. So, If you’re interested in equipping your online store with these up-to-date tools, take a look at the prezi below. 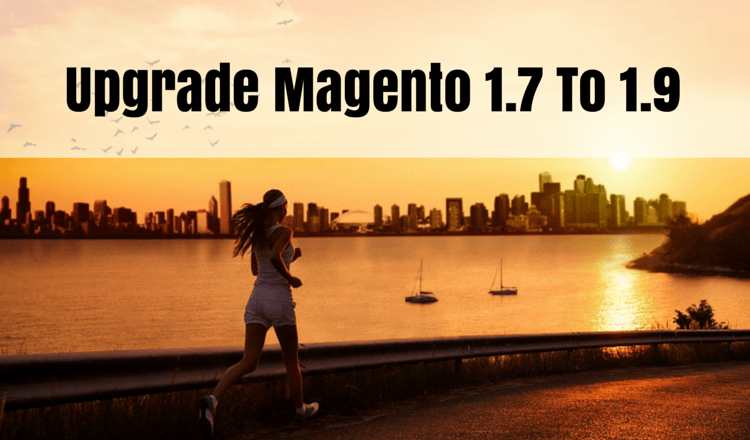 It describes the most convenient way to upgrade Magento 1.7 to 1.9 in no time. In general, it is a quick procedure that opens up vast new opportunities for e-shop owners. So, what are you waiting for? Register an account and upgrade Magento 1.7 to 1.9 in the most accurate way.